A definitive guide to Feng Shui interiors for homebuyers! Many people buy a home with one eye on the Feng Shui of the property. But how do you know if you’re assessing the property correctly? 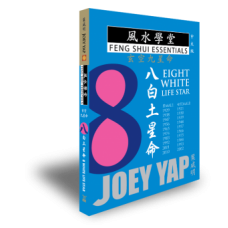 How can you be certain that you’re buying a property based on proper Feng Shui principles, not age-old superstition or old wives’ tales? 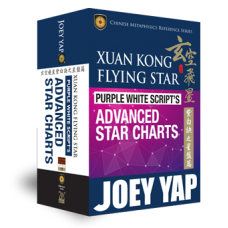 Not only is Joey Yap the world’s leading figure in Chinese Metaphysics, he’s also the go-to chief consultant of choice in the real estate and property development industry. Having provided consults for major development projects including luxury residentials, townships of more than 50,000 homes and commercial buildings across the globe with his consulting group, Joey Yap shares the dos and don’ts when it comes to Feng Shui inside a property in Feng Shui for Homebuyers - Interior. 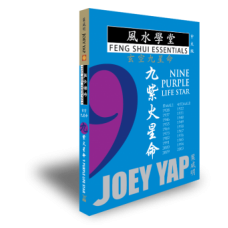 This companion book to Feng Shui for Homebuyers - Exterior, explains what are the positive and negative Feng Shui features that homebuyers should look out for inside a property during the home-buying process. What are the best locations for bedrooms in a house from a Feng Shui perspective? Do colours affect the Feng Shui of a property? How do you determine if a house has a good Main Door? Does the location of toilets matter in Feng Shui? Complete with colour illustrations, photographs and house plans, Feng Shui for Homebuyers - Interior helps you to screen the Interior Feng Shui of a house and to evaluate if the Feng Shui is favourable or unfavourable, through simple observation of the Forms within the property. 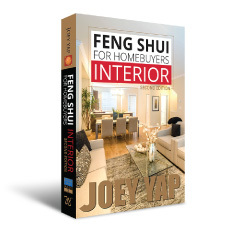 With the information in this book, you can avoid purchasing properties that require costly renovations to rectify internal Feng Shui flaws, select property with good Interior Feng Shui and understand what is important and what is not important when it comes to Feng Shui inside the house.